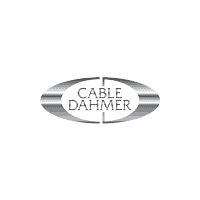 Experience Cable Dahmer Auto Group Difference! Our Cable Dahmer Our Community! Thanks for spending a few minutes of your free time visiting the Cable Dahmer Auto Group website. As the most respected provider of outstanding new Buick, Cadillac, Chevy, Kia, and GMC cars, trucks, and sport utility vehicles (SUVs) here in the Independence, Lees Summit, and Kansas City area, it is safe to say that we know a thing or two about helping you make the most out of this important decision. However, shopping at one of the fine dealerships that make up the Cable Dahmer Auto Group is about so much more than enjoying the fairest prices and most impressive selection of offerings from Buick, Cadillac, Chevrolet, Kia, and GMC; we also make it a point to always put your needs at the forefront of each and every conversation. While other dealerships might make similar claims or boast of comparable commitments to customer satisfaction, the truth of the matter is that only the Cable Dahmer Auto Group has gone the extra mile and devoted the entirety of our dealership experience to making your car buying process as simple, convenient, and enjoyable as possible.